From 4th December until 12th December, wine and pintxos will flow in Vitoria-Gasteiz's Plaza de Abastos. 18 cellars and 6 pintxo stands will be present in this yearly meeting that shows some of the finest Rioja Alavesa wines in Plaza de Abastos. And at the same time, in various locations around the city, the "Cazuelita" and Rioja Wine week. With more than 20 bars and restaurants around the city offering 2 "cazuelitas" each. 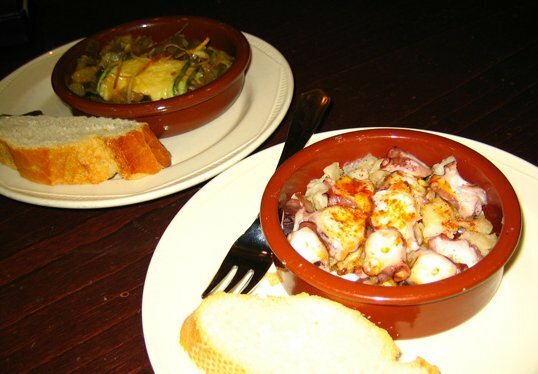 (Cazuelita is a mooden pot or casserole that gives the name to a small apetizer (similar on size to Pintxo), but that is to be eaten with a fork and knife). You can see full "cazuelita" list in the attachment (only in Spanish, but it includes a handful map with all pretending bars included): Cazuelita & Rioja Wine Contest (in Spanish). All cazuelitas will be fighting in a popular competition to find the best in the city.